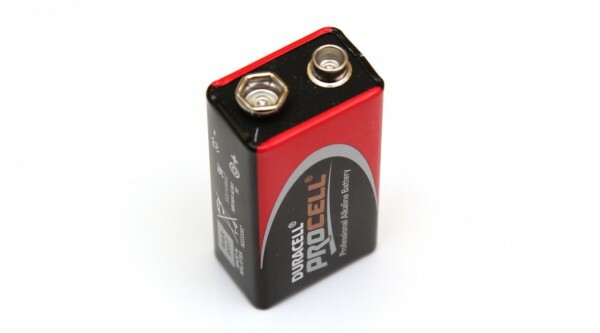 The 9V Duracell Procell Alkaline batteries we are testing here are from the Professional series of Duracell, a series that has lot of controversy surround it regarding if these are the same batteries or not as the standard Duracell Copper Top batteries. We’ve already tested AA and AAA size Copper Tops and Procells with the same expiration date and compared them to reveal that the Procell batteries do perform a bit better, so we are expecting to see something similar with the 9V Procell batteries by Duracell as well and we are of course going to compare them to the 9V copper Tops that we have already tested here. The expiration date of the battery tested here is 03-2017, something that is very important to note when doing battery comparisons as while Alkaline batteries do self discharge pretty slow over time as compared to NiMHs for example they still do. In order to test the capacity of the 9V Duracell Procell Alkaline batteries we are using a constant current discharge rate of 0.05A (50 miliampers) and we have managed to get 245 mAh and that is quite Ok for a 9V Alkaline battery, though we must say we kind of expected to see better performance out of these Duracell batteries. So in order to be sure we have picked up a second Procell battery and it got us 242 mAh under the same conditions, a bit of a disappointment considering the fact that we have managed to get better results out of a 9V Duracell Copper Top battery. On the internet there is a lot of talk about the standard Duracell Copper Top Alkaline batteries and the Duracell Procell Alkaline batteries intended for business and industrial use. You can find some claims that both are essentially the same battery, just with different packaging, however since we’ve tested both types of these we can confirm that there is slight difference between them. The Duracell Procell Alkaline batteries are indeed a bit better by providing a bit more capacity under the same conditions, so they are not the same as the standard Copper Top batteries that the company offers to consumers. In the end if you can get Duracell Procell and you really need the better capacity they provide along with the supposedly better performance in more extreme operating conditions (we still need to check that as well) and they do not come at a significantly higher price compared to the standard Duracell Copper Top Alkaline batteries you should go for the Procell ones.